A heavy duty Tsurumi 4 pole submersible slurry pump was recently supplied by Australian Pump Industries to UEA to assist horizontal drilling operations in Schofields. The project is part of their work for Sydney Water. UEA is one of Australia’s best known trenchless technology contractors. 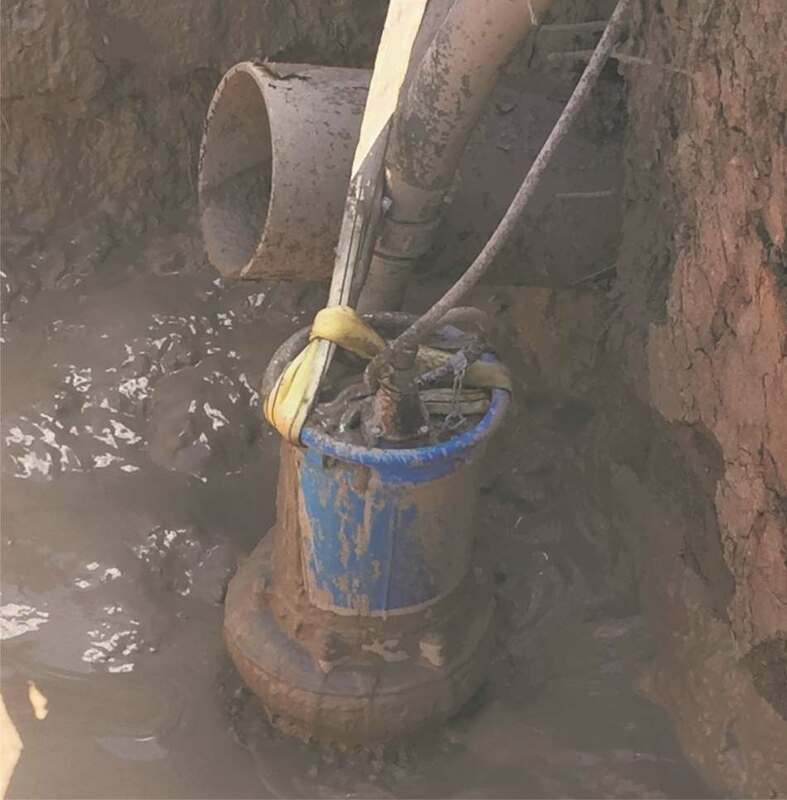 The Tsurumi GPN411 slurry pump in action, recycling drillers mud during horizontal drilling. UEA nominated the Tsurumi GPN411 pump for the job, due to their high quality simple yet robust design. The pump was used to recycle drilling mud from the drill head back to the treatment tanks. Project Manager, Jonathan de Vos was so impressed with the pump with its ability to pump slurry without the risk of failure. “We are in the process of replacing our fleet of vacuumed primed pumps over to the electric submersibles”, he said. Vacuum primed pumps are noisy, and expensive with maintenance and fuel costs. “Pump reliability is critical as downtime is expensive. In this application there were periods where the pump was running dry,” said, de Vos. “It handled this without a hitch”. The inbuilt water jacket ensures the pump’s motor is cooled even when the water level is low. The Tsurumi 4” 11kW GPN high flow pump comes with a semi open impeller of high chrome iron. It is powered by are a heavy duty four pole slow speed motor with high efficiency levels to minimise power consumption. The GPN411 features a large agitator for moving slurry. High chrome wearing parts and an extra thick pump casing means the pump delivers long lasting performance and outstanding durability. Like all Tsurumi heavy duty pumps, they feature Tsurumi’s anti-wicking cable entry point. The anti-wicking cable gland, ensures an absolutely water tight fit and prevents liquid incursion due to capillary wicking should the power cable be damaged or the end submerged. As added protection, the thermal motor protector is installed in the motor. 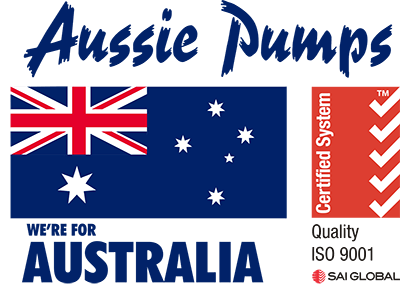 “The anti-wicking cable and the unique Tsurumi sealing device mean that water is prevented from entering the motor from the two danger points in any submersible pump,” Said Aussie Pumps’ Product Manager, Neil Bennett. “It’s that extra attention to detail that results in the pumps having a longevity that has earnt them a well-deserved reputation for reliability and long service life,” he said. Revolutionary Electric Blaster – Top of the Class! Plumbers Win …. Government Cash Splash!